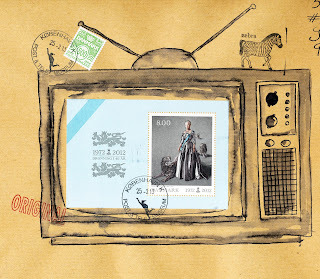 This week my mail box has been full of surprises. 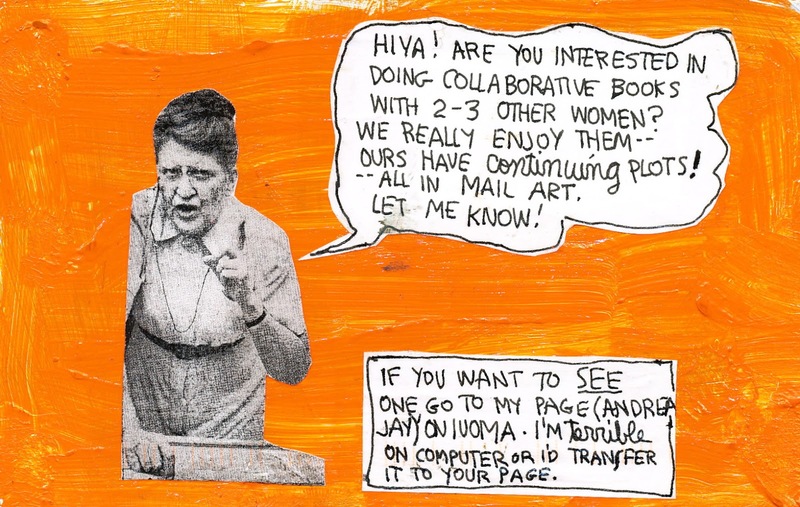 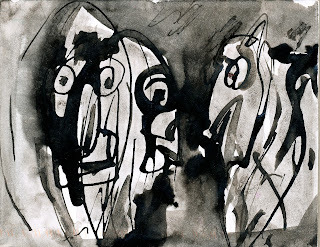 Unfortunately I had to decline Andrea's invite to contribute to a collaborative book project. 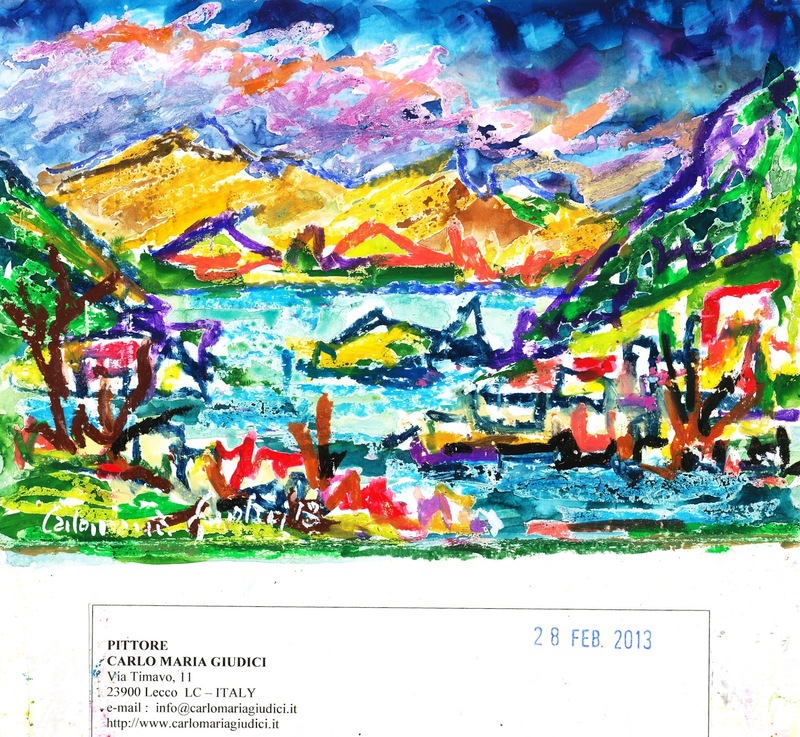 Prolific artist Carlo Maria Giudici's colorful painting was accompanied its certificate of authenticity. I was inducted into the Erni Bar Fan Club by the ubiquitous Grigori Antonin. 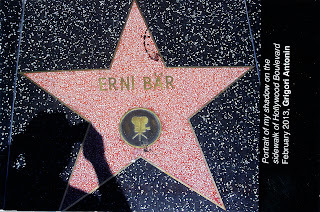 Erni Bar surfaced at the Hollywood Walk of Fame--where else? 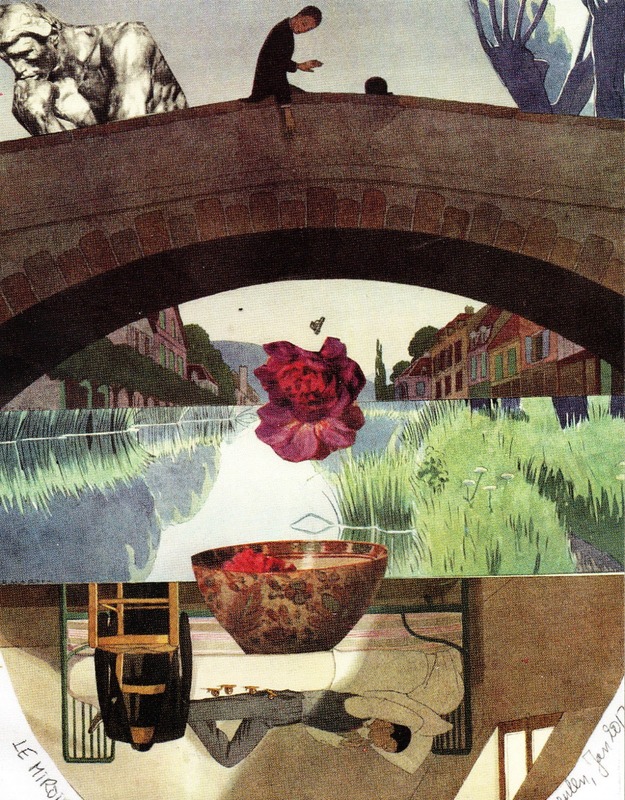 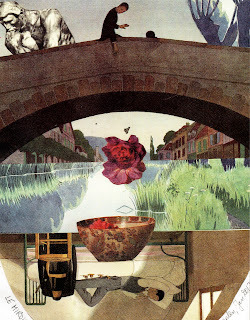 Guido Vermeulen's photo collage also included text by Yoko Ono, whose birthday it celebrated. 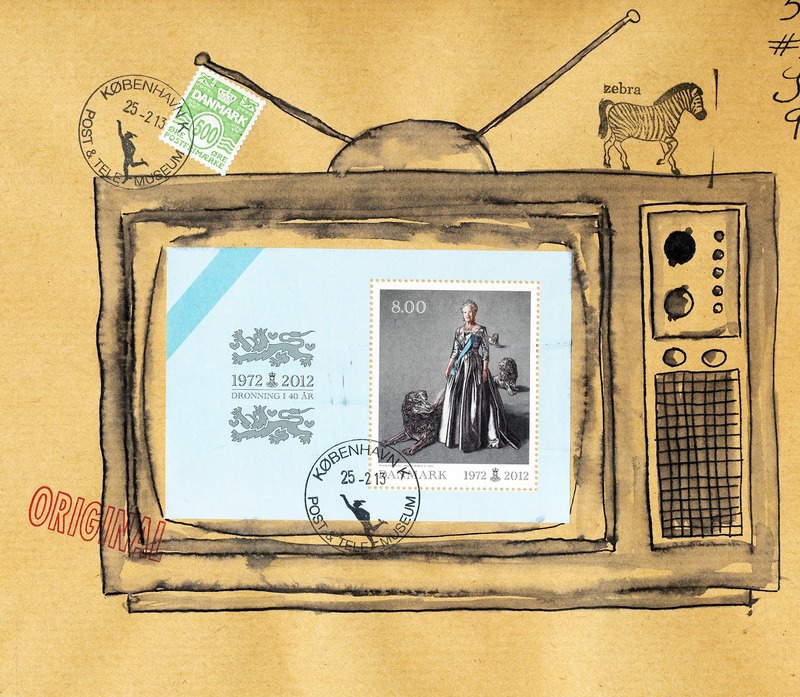 Finally, I was gifted with Nicole Neilsen's creative hand-painted envelope and enclosure. Thank you all!